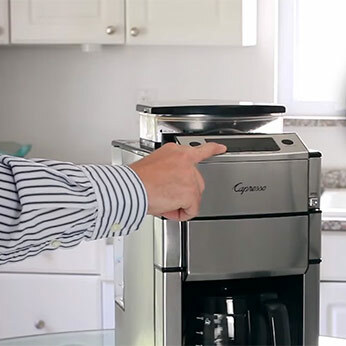 The CoffeeTEAM PRO Plus brings new technology for a bean-to-carafe experience that is a cut above the rest. 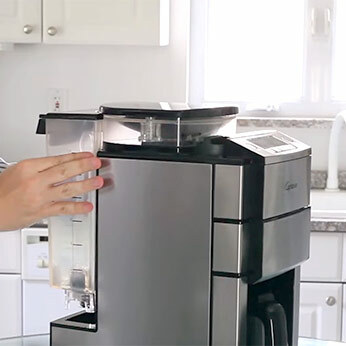 A sleek stainless steel exterior and multiple advancements for convenience and practicality make this the most fully featured 10-cup stainless steel thermal carafe coffee maker/conical burr grinder combination on the market. 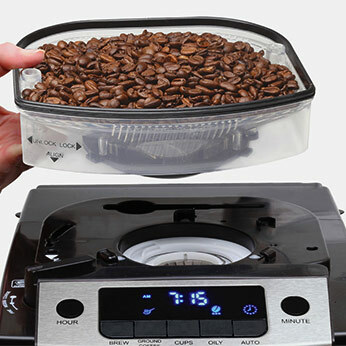 The fully removable water tank and bean container are just some of the most desirable features packed into the CoffeeTEAM PRO Plus line. It is widely known that fresh grinding your beans is the optimal way to prepare drip-style coffee, but for the first time ever, the CoffeeTEAM PRO Plus allows for complete access to the solid steel conical burr. The intricate design of the conical steel burrs provides for a higher gear reduction to slow down the grinding speed below 500 rpm. 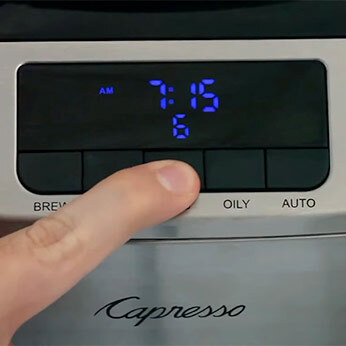 The slower the speed, the less heat that is imparted to the ground coffee thus preserving maximum aroma. 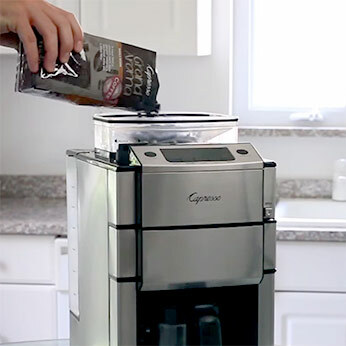 The two-step grind and clean process ensures no beans and minimal ground coffee are left in the grinder after use. 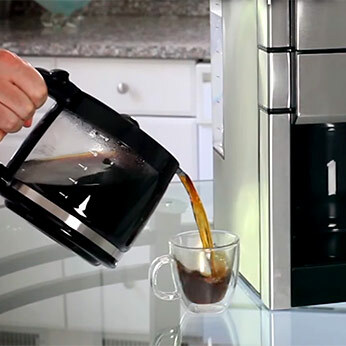 Fully adjustable grind and cup settings make it easy to craft the perfect brew no matter your strength preference, and the all new "oily" bean setting and the redesigned, low friction bean container automatically compensates for slower feeding dark roasts.